Two Tai Chi Health Programs are applied therapeutically with patients with a wide range of conditions and are taught in assisted living, long-term care, home care, senior centers, outpatient clinics, and community classes. The only program of its kind, Tai Chi Fundamentals® provides a clear system for mastering Tai Chi basics that includes resources for professional use including movement analysis, documentation for reimbursement, therapeutic and functional applications. Program applications include balance, geriatrics, stress and pain management, oncolcogy, PTSD,TBI, polytrauma, autoimmune diseases, women’s health. orthopedic, neurological, cardiovascular and respiratory rehabilitation. Adapted for use with wheelchairs and walkers. 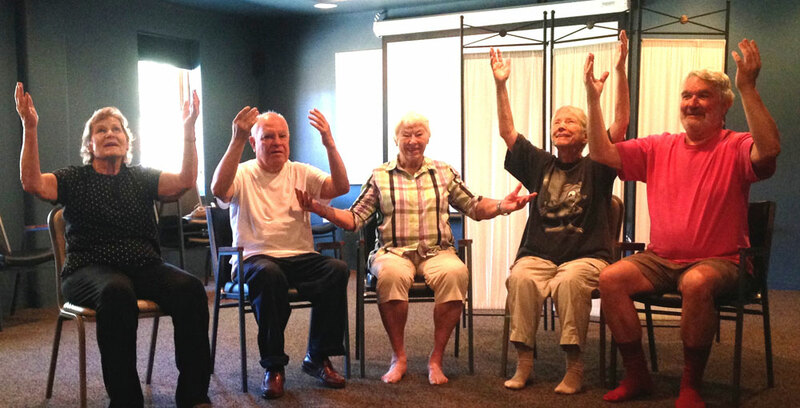 The ROM Dance® is an innovative exercise and relaxation program for people with pain and other physical limitations. It combines medically recommended range-of-motion exercises with mind/body principles of Tai Chi. Easy to learn, it includes seated and standing versions and has applications for arthritis, fibromyalgia, oncology, pain management, hand therapy, Parkinson’s, MS, lupus, psychiatry, stress reduction, neurology, geriatrics, and chronic fatigue.